The Verona Expectations for Care Scale (VECS) and the Verona Service Satisfaction Scale (VSSS) are two newly developed, multidimensional instruments that measure expectations and satisfaction with community-based psychiatric services (CPS) in patients, relatives and professionals. This paper reports on the acceptability, sensitivity and content validity of the VECS and VSSS in 75 patients and 76 relatives attending the South-Verona CPS. The acceptability of the VECS and the VSSS to subjects was good: most items were easily understood and the vast majority of subjects cooperated and gave accurate evaluations. The VECS and VSSS proved to be sensitive to variation both between groups and across dimensions. We demonstrated that the VECS and VSSS questionnaires had a higher sensitivity than unstructured interviews in measuring service expectations and satisfaction and that a domain-specific measurement had a higher sensitivity than an overall one. The content validity of the questionnaires, according to patients' and relatives' views, was very good. We demonstrated that a key characteristic of the content validity was the questionnaire's multidimensionality, with major contributions from the dimensions “Professionals' Skills and Behaviour” and “Types of Intervention”. The findings presented in this paper constitute the first complete study available in the literature on the psychometric properties of the measurement of expectations and satisfaction in a psychiatric setting. They indicated that it is possible to measure such subjective aspects in an acceptable, sensitive and valid way and that the VECS and VSSS have good psychometric properties. 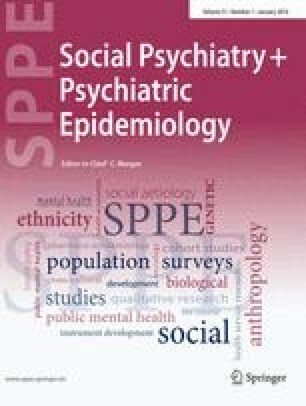 The data presented appear promising in the qualitative evaluation of the South-Verona CPS and the method should be of interest to those evaluating CPS in other settings.